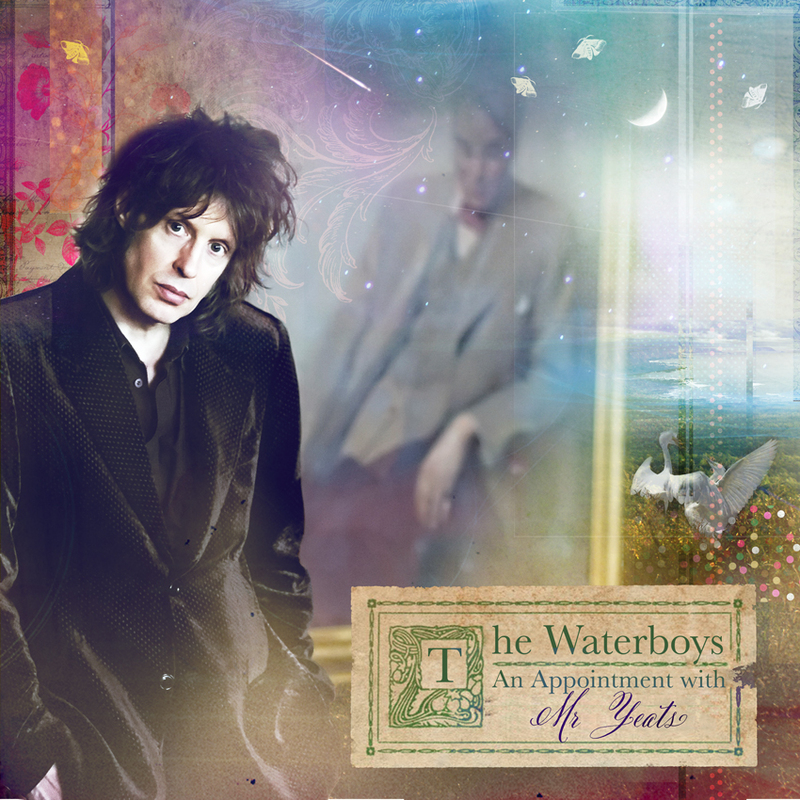 An Appointment With Mr Yeats is not just the exhilarating new album by the Waterboys, one of our most consistently adventurous and truly unfettered bands. It is also the triumphant culmination of Mike Scott’s 20-year-old dream of recontextualising the work of Ireland’s most venerated poet, W.B. Yeats, by singing his words against a backdrop of gloriously full tilt rock’n’roll. The results constitute a high watermark in a career already generously studded with highlights. An Appointment With Mr Yeats may have been two decades in the making but it proves more than worthy of the wait. Its 14 tracks sweep away any nagging notion that a marriage of music and poetry must be a dry, perhaps rather academic exercise. There is certainly no whiff of the library or lectern about An Appointment With Mr Yeats. This is not a dusty recital, nor some obscure side project, but a furiously full-blooded album on which the music is as rich, powerful and enduring as the words. The imprimatur of classic Waterboys is stamped on every note: epic, passionate, powerful, accessible, beautiful, bold, playful and ambitious, it proves not only that Yeats can rock, but that he can swing, pulse, reel, stomp, whisper, clank, shout and sway as well. “For Waterboys fans who wonder what on earth this is all about, I’d say listen to the music and forget any expectations you might have,” says Scott. “It’s a rock’n’roll record.” And a majestic one at that. We should expect no less from Scott, who for almost three decades has led the Waterboys down a multitude of intriguing and consistently rewarding pathways. From early post-punk beginnings to the imperious “Big Music” of A Pagan Place and This Is The Sea; from the hugely influential blend of Celtic folk, gospel, country and rock heard on Fisherman’s Blues to the band’s most recent offering, Book Of Lightning, released in 2007 to a garland of critical acclaim, Scott has endeavoured to make the Waterboys a fluid conduit for his ceaselessly questing creative spirit.